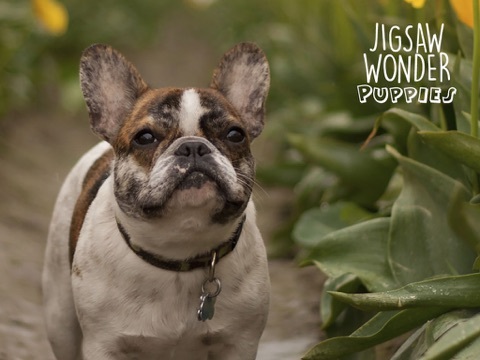 [Promo Codes] for Jigsaw Wonder Puppies! Usually $2.99! Discussion in 'Promo Codes and Contests' started by Eggroll Games, Mar 23, 2015. Hello! Here are a few promo codes for our new puzzle app for kids. I'd love to hear your feedback! 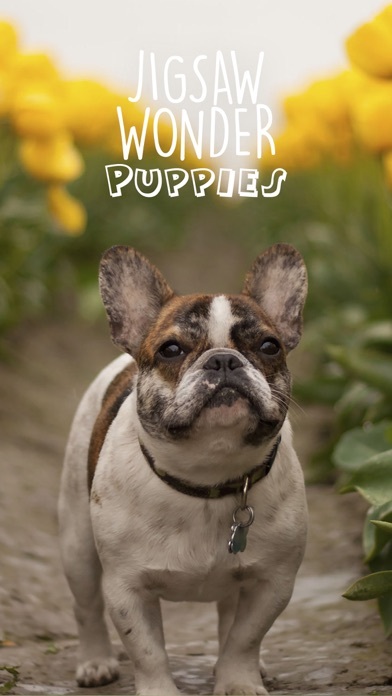 • More than 30 HD Puppy Images! Update: These are all gone! Check the comments below for more! I took the 4th code. Sorry, had to go make dinner. I'll be back with impressions later after some of the kids try it. All codes are redeemed. But at all, beautiful dog in screenshots are beautiful. a lot of girls will like them. lol. Aw, thanks for fighting the good fight! Hey! Wait a second! My son loves puppies! Haha! Thank you for the kind words! 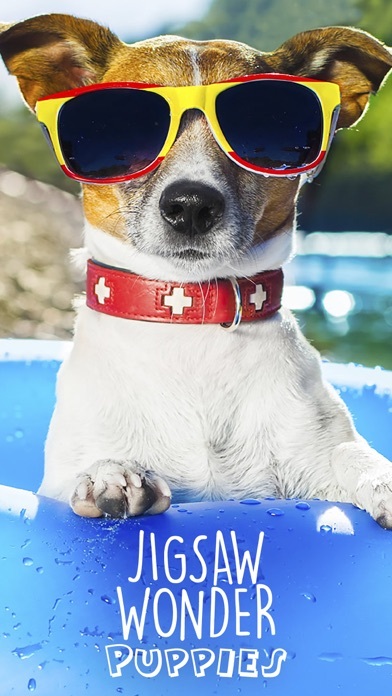 We will be adding more cute dogs as we do updates. I look forward to it. *SNIFF *SNIFF, Dinner smells good! Four more codes! I'd love to hear your feedback! Thanks! I've got a 6yo daughter at home who loves jigsaw puzzles! I'll be back with impressions after she's had a chance to play with it. That's great! I can't wait to hear your feedback! Sauted (in a wok) portabello mushrooms with a buttery garlic and cherry balsamic sauce. Sounds strange but so delicious. One of my specialties! 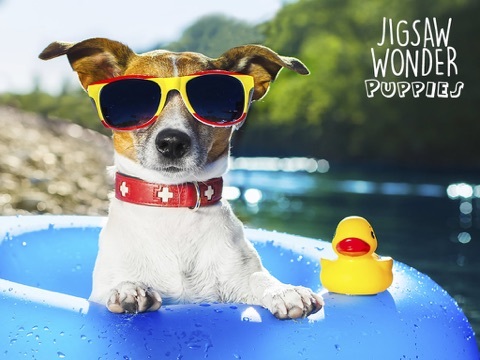 Jigsaw Wonder Puppies is filled with adorable puppy puzzles. Some of the kids liked it. Mostly ages 4 to 7. The pictures are high quality. I'm curious if the dev took the pics?? 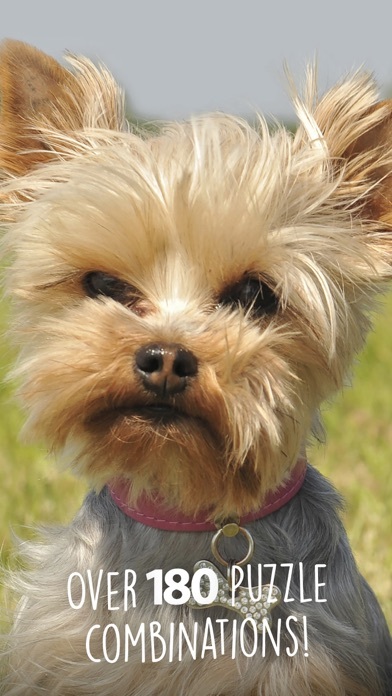 And; who doesn't think little baby dogs are cute? The puzzle pieces moved smoothly. The kids that were younger, chronologically and/or mentally at around 3 and 4 years old didn't respond as well. There were 2 things that presents with some confusion, although minor. 1. In the 4 piece puzzles, the piece was small, yet the background pattern pieces were large. I don't think this is something that needs changing. Just pointing it out for your information. They ended up getting used to it anyway. 2. It was hard for them to figure out where the puzzle piece goes because sometimes everything looked so close in the color shades. Sometimes they had a hard time relating to the location of the puzzle piece because again, it looked close to the same. I would suggest that the background puzzle be faded. Of course the puppies were a hit. Puzzles were fairly easy. The complaint was, that they wanted the outlines to be completely turned off. 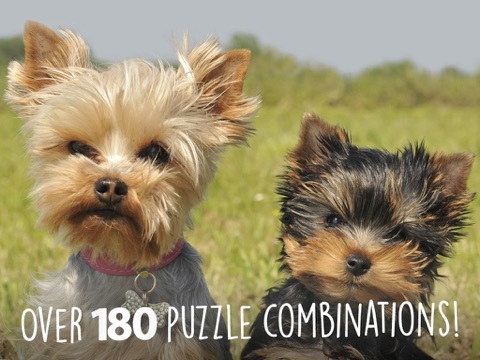 The ones that would show up when the puzzle piece was close. I have an 8 year old that stated she would love the puzzle if the background wasn't there at all. "like other puzzle games." So, I would suggest the option to have no background at all. I am going to give some real Mom truth. 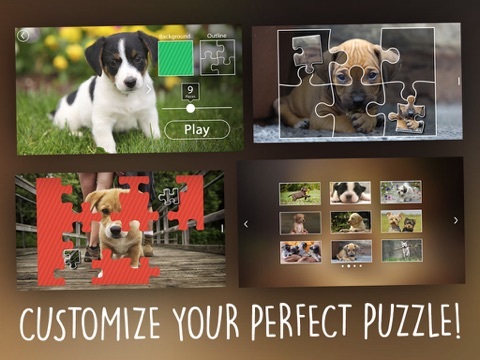 As a mom and a person that has helped dozens of kids therapeutically, I do love the game but, seeing that there is only one design or focus (puppies) I would most likely opt to purchase a puzzle game with more variety. Maybe the next level would be kittens. Then zoo animals or toys.... etc...... Kids lose interest so quickly. For them, variety is important. This doesn't mean it isn't a great puzzle game. Also, kids love working towards a goal just like us grown ups do. So, I also suggest that whenever the player completes a puzzle, they be reward with a virtual ribbon or sticker and that they could go to an area to look at what they've earned. Overall, super cuteness with puppy candy! LOL Runs smooth. *Drool, I'll be waiting for your dinner invitation! Wow, thank you for the feedback! You have no idea how helpful this type of detailed feedback is! We did not take the pics, they are licensed for use from iStockPhoto. Your comments on why the younger ones had trouble is great. Thank you! To address number 1, perhaps we can make a version where the pieces are the same size as their slots (the puzzles themselves would have to be smaller.) A version for younger children is a good idea and something to think about. 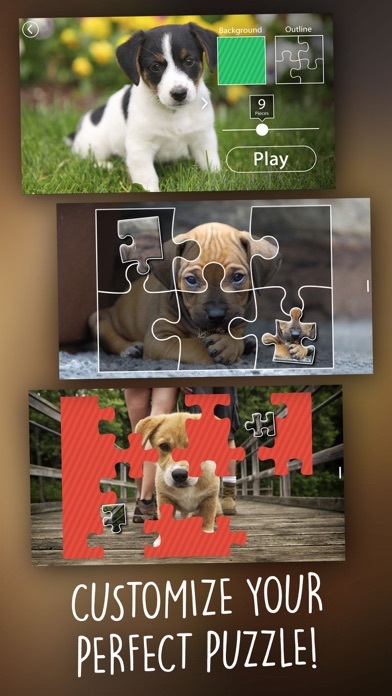 We currently have the puzzle in the "5 and under" category on the App Store. We will consider bumping it up to "ages 6 to 8"
Regarding item 2, I'm not sure what you mean by "I would suggest that the background puzzle be faded." I'd love more information or more suggestions on the issue they had. I definitely would love to address it in an update if possible. Did they try turning on one of the striped backgrounds? (Tap the square under "Background" on the puzzle settings screen before the puzzle starts) Would that help? We are working on an update that gives you the option to turn off the "place preview" as we call it. We have plans to release lots of different theme. Perhaps we could try a "potpourri" or "best of" version that has puzzles from each different theme. I love this and have been thinking about pitching a similar concept to my partner. Another great idea! Thank you so much for this valuable feedback! If you have more or they play the app again, be sure to let me know. I would love to hear about it! Two more codes! Thank you all for the feedback! Keep it coming! You're welcome. I do have an idea of how helpful it is. At the same time, when I ask a foster kid to try a game and tell me about it, they love it! They feel so proud and important. For me, the value is that they really apreciate that their opinion might actually be important and that They are being valued for something other then being a punching bag or servent. Is the a 4 to 8 category? I think the 4 piece puzzles are great for the younger, 4 year olds. The striped background does help. Thanks for pointing that out! When the younger kids are trying to place a puzzle piece they get confused when the puzzle piece kind of blends into the puzzle background. If the background is faded, the puzzle piece won't blend in, yet they will still have the extra help of the picture background. Does that make sense? The younger ones definately prefer a picture background over the striped one. Yes, the alternate background was much better. Thank you again Lavender! Your input has been great and I'm glad the kids enjoy being testers! Their feedback is absolutely the most valuable! I love hearing your insights and suggestions! Four more codes! Enjoy! Your honest feedback is welcome and wanted!